***** UPDATE ***** August 4, 2016 @ 3:30 p.m.
GALLOWAY TWP, NJ – Police continue the investigation of the woman who was struck and killed by a motor vehicle on Route 30 Monday night, and are providing to the public updated information about the suspect motor vehicle, Acting Atlantic County Prosecutor Diane Ruberton announced. 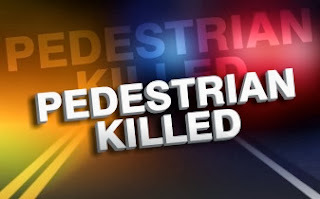 On Monday, August 1, 2016, at 10:20 p.m., Galloway Township Police emergency medical personnel responded to the intersection of East White Horse Pike (US Route 30) and 6th Avenue, Galloway Township, NJ, for a pedestrian motor-vehicle collision. Upon arrival, police found Aubrey M. Servis, a 27-year-old female, of Little Egg Harbor, NJ, who had been struck by a motor vehicle. The Atlantic County Prosecutor’s Office Crash Investigations Unit also responded to the scene. The driver of the motor vehicle that struck Servis left the scene of the accident. The victim was pronounced dead at the scene. Next-of-kin were notified. Assisting at the scene were units of the Galloway Township Ambulance, New Jersey State Police, New Jersey Department of Transportation, and AtlantiCare Paramedics. a Lexus RX 300 or RX 350. This vehicle had a broken driver’s-side headlight when observed leaving the scene. Law enforcement asks that anyone with information about this vehicle and/or the identity of the driver, or who witnessed or obtained information pertaining to this crash call the Atlantic County Prosecutor’s Office Crash Investigations Unit at 609-909-7667 or the Galloway Township Police Department at (609) 652-3705 Ext 095. I'm sure that you have thought of this but since he was westbound on a transient highway, I hope that GSP toll plazas cameras have been checked. God Bless, Aubrey & her family. If Galloway had traffic cameras that were operational instead of ornamental, GTPD would have nailed the p.o.s. by now.